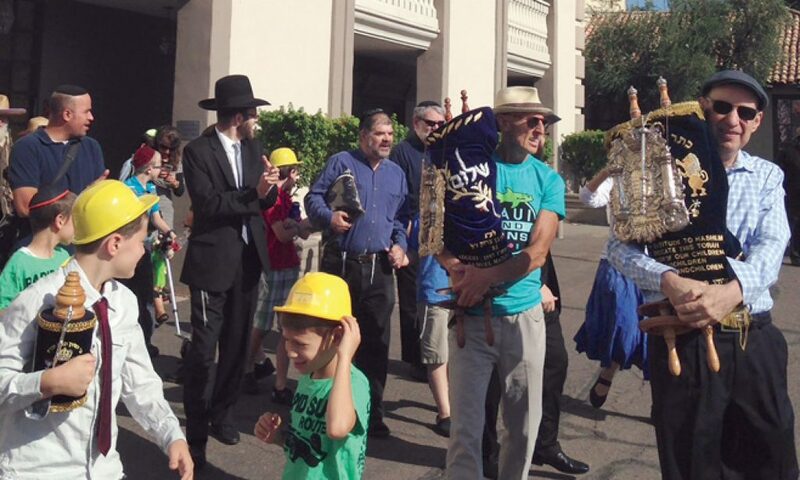 The Young Israel of Phoenix is a warm and welcoming dynamic Jewish community in North Central Phoenix that welcomes all Jews regardless of their religious affiliation. Led by our warm and personable Rabbi Yossi Bryski, Young Israel is comprised of vibrant Jewish professionals who are committed to their spiritual growth and love of Torah. Our love and appreciation for the State of Israel is evident through our learning, davening, and social action campaigns. Chessed (kindness) and hachnasat orchim (welcoming guests) are virtues and responsibilities that we look to embrace at the Young Israel of Phoenix. Visit us on Facebook for the latest newsletter, programs, classes, and events. Note: Additional Mincha/Maariv minyanim will be scheduled when needed for members saying Kaddish. Copyright @ Young Israel of Phoenix.